Numbers stations have always been a dark oddity that pop up from time-to-time in the course of shortwave radio listening. There is unquestionably an air of mystery and intrigue which surrounds them. With the release of the movie The Numbers Station, many non-SWLers may be enticed to explore the HF bands. A good thing, as it may draw fresh interest to this classic radio hobby. I have heard numbers stations since I first started listening to shortwave radio broadcasts some thirty years ago, and I find that I often pause to listen (and to wonder) when I come across one on the bands. The numbers station I hear most often, though the country of origin cannot be confirmed, is in Cuba–well, at least, we’re pretty certain of that. 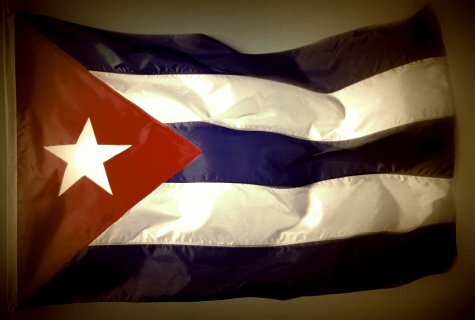 The same female voice, reading numbers in Spanish, has been Cuba’s calling card in the spy numbers world for some time. This entry was posted in Broadcasters, Numbers Stations, Recordings, Shortwave Radio, What's On Shortwave and tagged Cuban Spy Numbers Station, DIGTRX, HM01, Numbers Station, RDFT, Spy Numbers Station, What Is a Numbers Station on February 14, 2013 by Thomas. First of all, thanks for your work on this fascinating blog. I have additional information on how and who used these Cuban numbers stations. I composed a paper, based on FBI and court documents. “Cuban Agent Communications” can by found in the Papers section of my website. I am the author of the program DIGTRX! Thanks, Roland! I will post something on this in the coming days! Very cool. Do you have a page in English? Thank you, Roland! I will take a look!